The University of Notre Dame Australia is committed to excellence in teaching, scholarship and research. Fundamental to this commitment is the upholding of academic integrity which is underpinned by the values of honesty, fairness, respect and responsibility. The University has implemented a range of strategies to support and enhance student academic integrity. 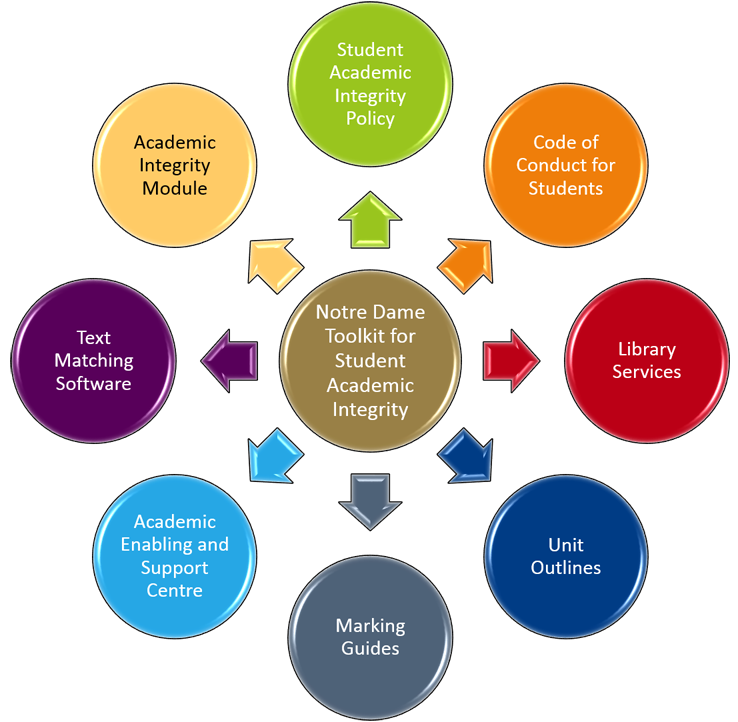 In addition to the Policy: Student Academic Integrity, there is the Code of Conduct for Students, Course Outlines, Marking Guides (for example, rubrics), Text-Matching Software, Library Services, the Notre Dame Study Centre, and this Academic Integrity Module (AIM). AIM is an educational resource developed to support students in understanding the principles, processes and importance of academic integrity. AIM will provide some guidance to students regarding citations and references, in order to assure the academic integrity of work produced. AIM has two parts. Ideally, you should undertake Part 1 first. Material in AIM was developed as a general guide for Notre Dame students. Students should refer to Cpurse Outlines and consult their lecturers or tutors for specific requirements for their units.